DX8100 Version 2.0 delivers hybrid IP and analog recording capabilities along with the feature-rich performance you’ve come to expect from this celebrated Hybrid Video Recorder (HVR). With added functionality and adaptability for a demanding market, now more than ever the DX8100 Version 2.0 is the choice for security professionals who require optimum performance and flexibility. 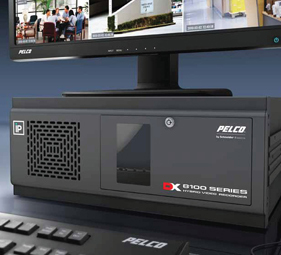 For all the power users who have been searching for a revolutionary advance in video system capabilities and performance, Pelco Thermal Imaging Solutions bring light to a whole new world of possibilities. With the Esprit Ti, which integrates an advanced thermal imaging camera into the Esprit Positioning System, and the TI2500 Series fixed solution, Pelco offers a suite of thermal imaging camera systems to meet the demands of your next installation. Esprit Ti comes standard with industry-leading features such as heater, window defroster, sun shroud and thermal insulation blanket, enabling your unit to operate in temperature conditions ranging from as low as -50?F to 122?F. And in the event of a power failure during an ice storm, the entire unit can de-ice itself and become operational in just two hours after regaining power at a temperature as low as 13?F. On-screen position feedback displays the camera’s directional orientation and zoom position. Esprit can also accept RS-422 data commands to send it to exact azimuth, elevation and zoom settings, and can report its current position as well. 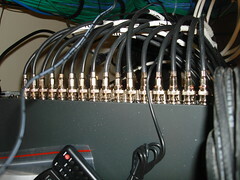 A first-of-its-kind interface, the Remote Data Port can be installed anywhere along the video data lines. Such “bottom-of-the-pole” access provides an unprecedented level of control to verify camera settings and video output without ever needing a lane closure or lift truck. 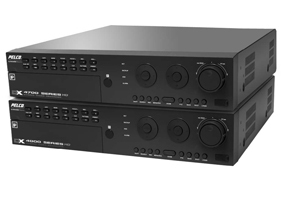 DVR5100 Hybrid Video Recorders redefine expectations for performance and expandability. Delivering affordable, high-performance, enterprise class recording, this system shatters performance marks for DVRs in its class. The DVR5100 produces remarkable DVD-quality images and is ideal for applications where video quality is critical. 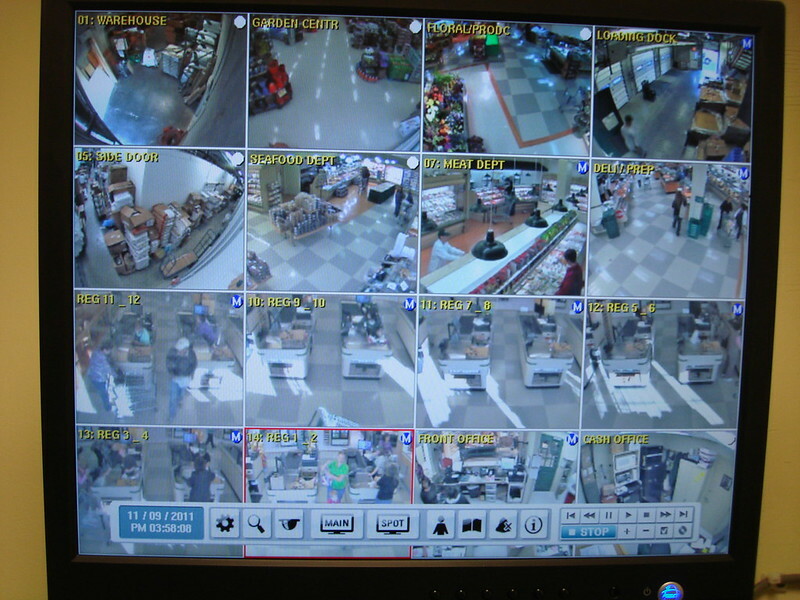 As the industry transitions from analog to IP network camera systems, DVR5100 hybrid systems provide an effective and efficient migration strategy. 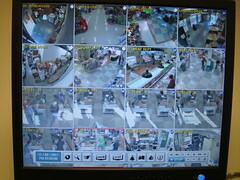 Through the use of a standard network switch, DVR5100 systems are ready to record Pelco IP cameras with no extra cost. With three models to choose from, DVR5100 systems offer flexibility and preserve existing analog investments, while laying the groundwork for future IP expansion. DVR5100 raises the bar and delivers enterprise-class video performance in a value-driven package. 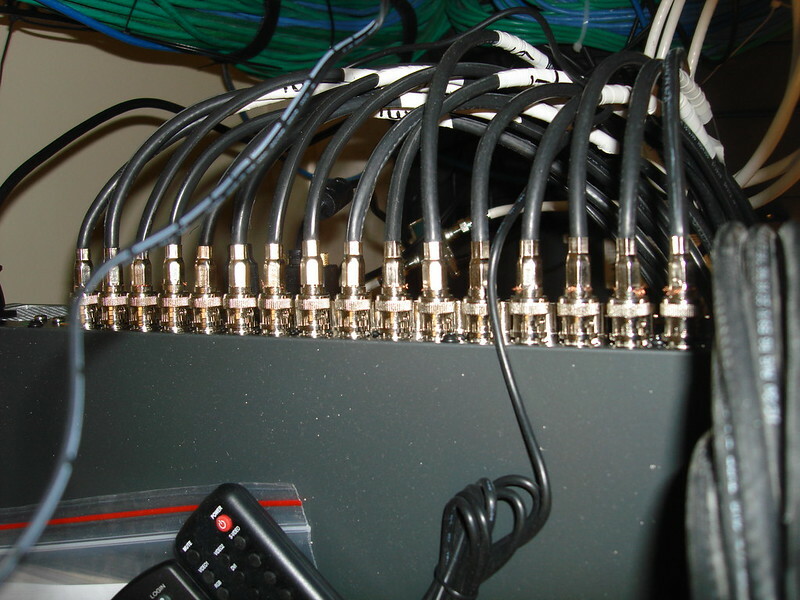 Experience high-quality video available on as many as 20 combined analog and IP channels. Featuring industry-leading performance, DVR5100 systems record 600/500 Images Per Second (NTSC/PAL) at 4CIF resolution on each channel for exceptional detail at frame rates typically only available on much more expensive systems. Patented EnduraStor technology from Pelco means high quality video no longer requires high storage cost. EnduraStor records essential video at higher frame rates, and automatically reduces it to a lower rate after a preprogrammed time. This delayed timelapse recording means improved retention times. EnduraStor makes real-time video available when users need it most, while optimizing storage capacity and cost. Get More With Four. Spectra IV. You know it by name. 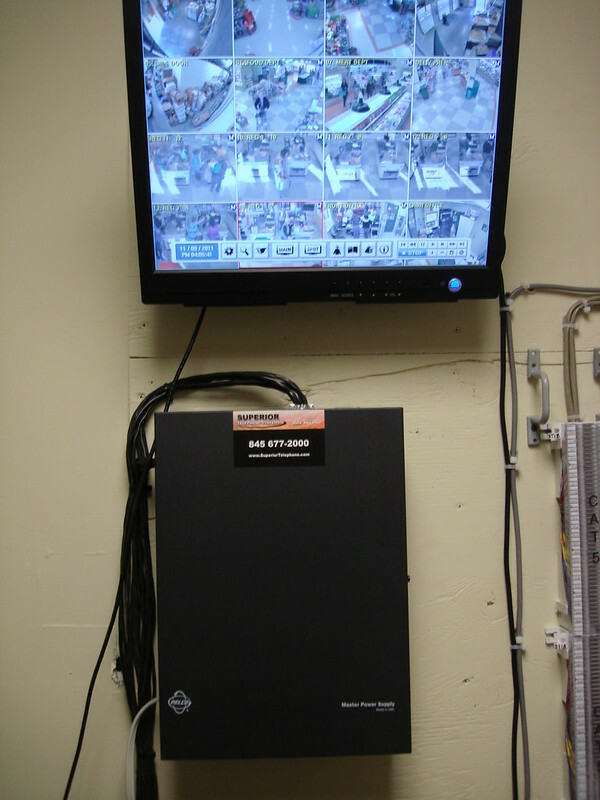 It’s been a cornerstone of security installations over the last decade. It’s demanded in the highest-profile jobs around the world. And it just keeps getting better. The Pelco Spectra IV Camera Positioning System is the latest in a long line of products under the Spectra name, and like its predecessors, it continues to set the industry standard for innovation and performance. The flagship Spectra IV SE 35X model takes the business of image capture to a whole new level. With an industry-leading 35X optical zoom lens, 540 TV lines of resolution and an amazingly low .00018 lux sensitivity, Spectra IV is focused on delivering the crispest, mostdetailed video possible. Moreover, special consideration was taken to achieve an optimal optical relationship between the lens and the bubble, ensuring crystal-clear video at long focal lengths. Spectra IV’s enhanced Wide Dynamic Range (WDR) capability, available in 23x and 35x systems, compensates for those scenes where dynamic contrasts in lighting are present, resulting in useable video regardless of glare, direct sunlight or shadows. Thanks to these and other optics innovations, the Spectra IV SE camera positioning system is the ideal choice for any and all lighting conditions. The Spectra IV 35x and 18x systems, and SE’s 23x camera/optics package feature automatic cut filter removal for Day/Night operation that provides high-quality color images by day and higher sensitivity black-and-white images at night. Digital Slow Shutter (DSS) is a technology that enhances the low-light performance of a camera, producing outstanding images in low-light conditions. DSS increases the camera’s sensitivity and is available in all Spectra IV systems. And with IR Trace Curves for proper focus at your choice of 850 or 950 nanometer wavelengths, Spectra IV captures what others miss. 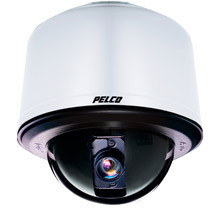 Designed specifically for indoor video security applications, where an affordable yet high-performance system is required, Pelco introduces Spectra Mini – the smallest, high-performance PTZ dome camera available today. Offering the same robust features and functionality of Spectra systems in a compact, cost effective package, Spectra Mini is a low-cost alternative to traditional camera systems. Spectra Mini represents the smallest form factor positioning system while offering functionality and performance far surpassing anything else available. Even at its hand-held size, Spectra Mini is a true positioning system with many of the features found in larger models. Spectra Mini offers the same high level of quality and responsiveness that security professionals demand of Pelco positioning systems. Mix and match Spectra Mini indoor systems with larger, more powerful outdoor Spectra systems and the result is a cost-effective, high-performance video security solution that perfectly meets application needs. Optical (10X) and Digital (8X) Zoom capabilities come standard as do Presets, Autosensing, User-Definable Pattern and much more. Spectra Mini is the low-cost alternative for price-sensitive applications. 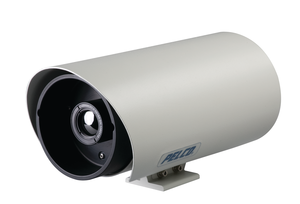 Delivering PTZ coverage far surpassing traditional, multiple fixed-camera systems, Spectra Mini offers the right combination of price and performance and an instantly recognizable return on your investment. 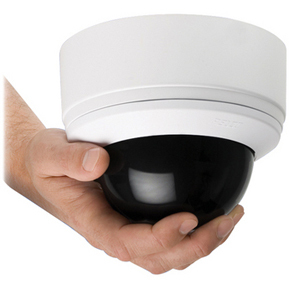 Similar in size to Pelco Camclosure Fixed Dome Systems, Spectra Mini’s all-in-one design provides a discreet presence for any indoor application. Combining the features of a traditional high-speed dome into a small package, Spectra Mini can also be used in concert with Pelco Camclosure Fixed Dome Systems to provide a consistent, discreet and attractive look throughout any facility. 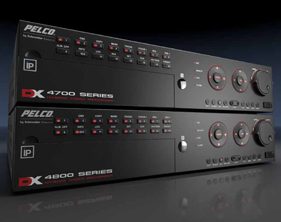 The Pelco System 9760™ video matrix switching and control system offers complete management of medium and large-scale security installations, delivering the functionality you need for a wide variety of applications. We recognize the fact that in order to achieve error-free system operation around the clock, a system’s keyboard must offer a level of usability and customization that anyone can quickly understand. 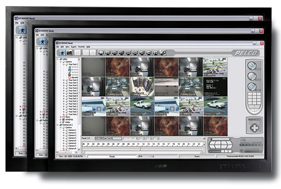 From operating as a powerful stand-alone switcher, to integrating seamlessly into existing security and surveillance systems, the Pelco System 9760™ video matrix switching and control system provides multiple operators the ability to quickly and easily view and control cameras for general surveillance, and visual verification of alarm events. The system’s true-networking (master to master) backbone allows up to 24 individual systems to be distributed and controlled centrally and locally. At the core of System 9760 is a nonproprietary, software-based operating platform that offers many features not available in other systems, such as built-in video loss detection, intelligent keyboard communication, and extensive macro abilities and networking capabilities, to name a few. System 9760’s Windows? based Administration Software allows for fast, easy, uninterrupted programming and editing of the entire system with no down time. With this powerful software, users can setup, control, administer and make on-going changes to a System 9760 configuration of any size. And for maximum efficiency, the CM9760-KBD offers twenty-four user-definable “soft keys” that may each be labeled application specific, allowing for logical camera selection based on the camera’s field of view rather than based on camera numbers. With powerful flexibility and a whole host of pull-down menus and on-line help windows – systems programming, operation and maintenance are simple.